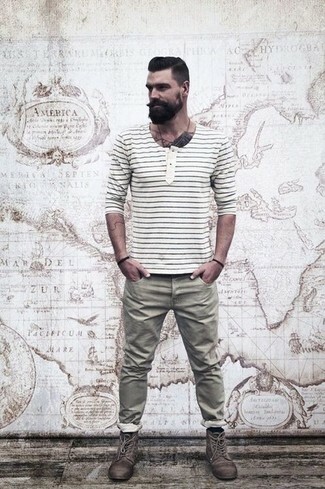 If you're on a mission for a casual yet seriously stylish getup, marry a white horizontal striped long sleeve henley shirt with grey chinos. Both pieces are totally comfortable and will look great paired together. Rocking a pair of Marsèll listello boots is a simple way to add some flair to your outfit. 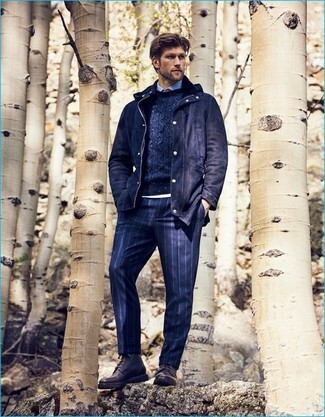 For a smart casual getup, consider wearing a navy wool parka and navy vertical striped dress pants — these pieces fit perfectly well together. 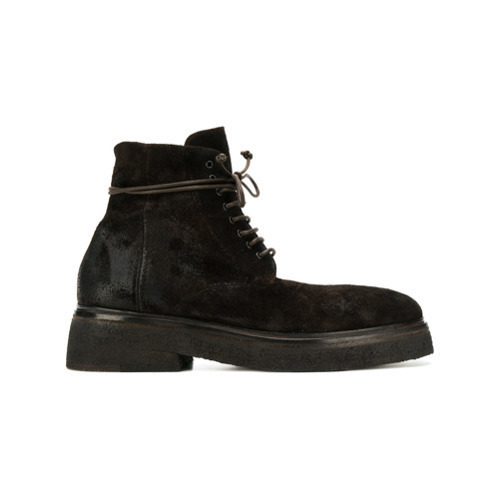 When it comes to footwear, this look is round off nicely with Marsèll listello boots. Pairing a navy wool suit and a grey vertical striped dress shirt will create a powerful and confident silhouette. 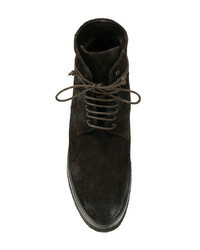 Make your ensemble more fun by complementing it with dark brown leather casual boots. 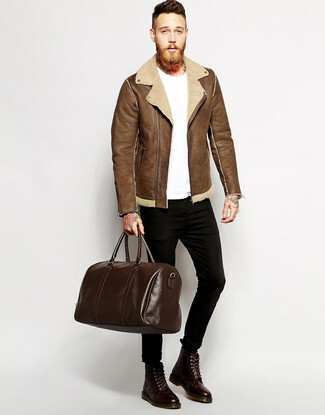 If you're looking for a casual yet stylish ensemble, consider pairing a brown shearling jacket with black skinny jeans. Both garments are totally comfortable and will look great together. You could perhaps get a little creative when it comes to footwear and spruce up your outfit with Marsèll listello boots. 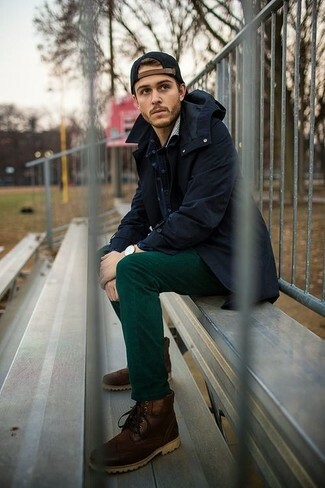 This pairing of an olive windbreaker and olive jeans will allow you to exhibit your skills in men's fashion even on off-duty days. Complete your ensemble with a pair of Marsèll Listello Boots to instantly switch up the look. For a casually elegant ensemble, opt for a charcoal overcoat and olive jeans — these items the workplace nicely together. When it comes to shoes, this ensemble is round off wonderfully with Marsèll listello boots. 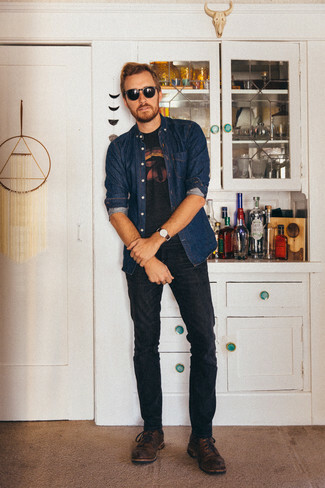 If you're on the lookout for a casual yet sharp look, go for a navy denim shirt and black jeans. Both pieces are totally comfortable and will look great together. Got bored with this getup? Enter dark brown leather casual boots to jazz things up. 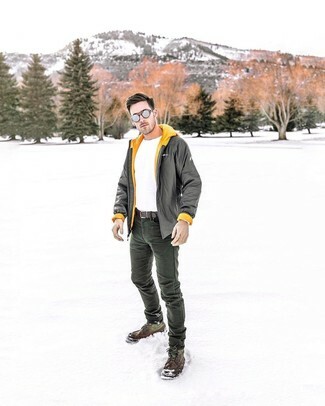 Putting together an olive barn jacket and black jeans will allow you to demonstrate your prowess in men's fashion even on dress-down days. 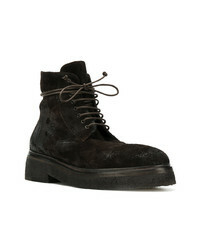 Rounding off with a pair of Marsèll Listello Boots from farfetch.com is a fail-safe way to introduce a little depth to your ensemble. 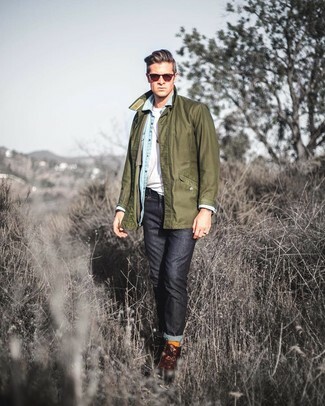 If you're after a casual yet dapper ensemble, consider pairing a navy field jacket with dark green chinos. Both pieces are totally comfortable and will look great together. 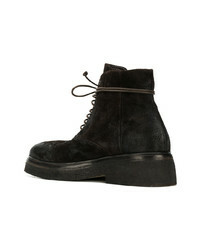 To add more class to your outfit, finish off with Marsèll listello boots from farfetch.com.